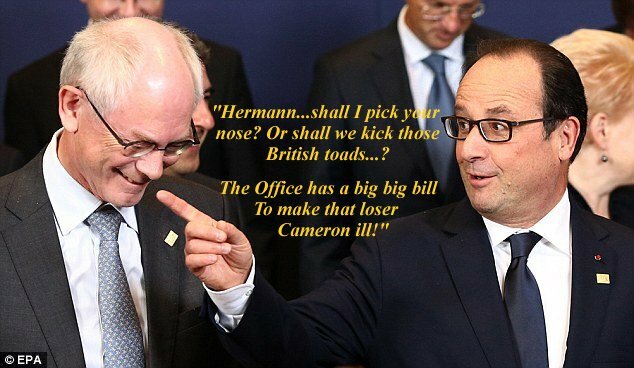 Hermann, shall I pick your nose? I would love to believe that “no means no” – that the leader of my “tribe” (the Conservative Party) will make a stand and refuse to pay the E.U. more money. However, I am sorry to say, that I will reserve judgement and observe what happens AFTER the vote in Rochester. The Tories are busy fiddling the vote in Rochester right now. Gosh, maybe we can do something to help repair relations with our Mother Country. We have boatloads of people over who are experts at that, that believe me we would be delighted to ship over to you!